See more objects with the tag black and white, time, personal accessory, watch. This is a Watch. It was manufactured by Braun AG. It is dated 1992–93 and we acquired it in 1993. 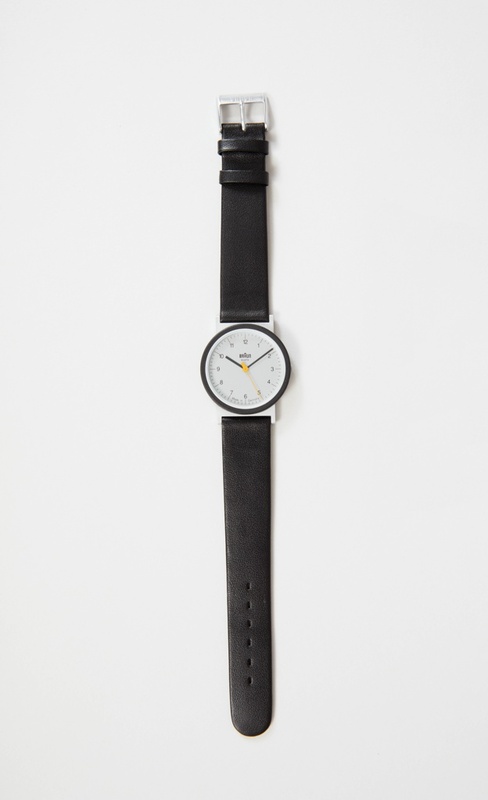 Its medium is stainless steel, quartz movement, glass, leather band. It is a part of the Product Design and Decorative Arts department. 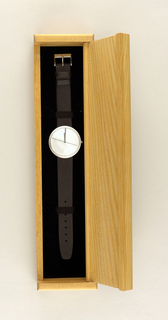 The AW10 was Braun’s first analog wristwatch. The watch communicates time in a precise and straightforward manner with Helvetica numerals on a white face with a yellow second hand adding visual interest and clarity. 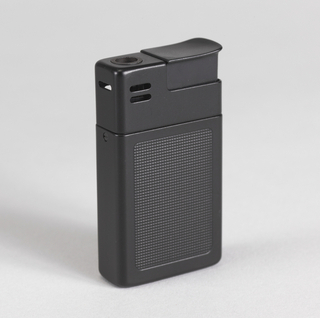 During his decades at Braun, designer Dietrich Lubs’s work, often in collaboration with Rams, spanned a broad spectrum of products, from graphics for audio equipment, kitchen appliances, and shavers, to designs for watches, hair dryers, and clocks. 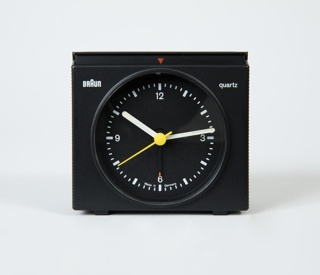 It is credited Gift of Dieter Rams.